Because the variables for this form of printing are so individual, we feel we cannot give you the level of service you deserve with an online ordering system. Therefore, feel free to contact us with your specifications and other pertinent information. 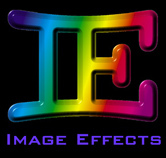 You may send us your graphics electronically by uploading to our FTP site at: ftp.imageeffects.com . Log on as user name: sign use password: JobPassword and upload files to the inbox in the job directory. You may also mail us your files on Zip, Jaz, or CD-Rom. We accept both PC and Mac formats. We prefer TIF files built to size at a resolution of at least 100 dpi, but we can accept native files from PhotoShop, Quark Express, Adobe Illustrator, Adobe FreeHand, PageMaker, or CorelDraw. We can also accept EPS files. Please include all fonts, or convert them to curves for any file format that is not a bitmap. send us an e-mail, and we'll reply within 24 hours.